Ruby Lane came in 2nd in the 2019 Sellers Choice Awards and topped the list as “Most Recommended” marketplace by its sellers for the second consecutive year. This is a niche site that knows how to keep sellers loyal to its marketplace. 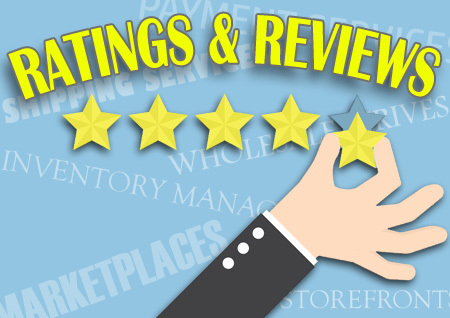 In January 2019, EcommerceBytes surveyed over 13,000 online sellers and asked them to rate the marketplaces on which they had experience selling. An introduction to the Sellers Choice survey along with a summary of the overall ratings can be found here, along with links to results for each of the 11 online marketplaces included in the survey. Many sellers said they were longtime users of Ruby Lane, with jewelry, collectibles, dolls, and antiques singled out as among the strongest categories. They said it’s easy to list, they successfully sell high-end items, and there’s timely customer support with good communication. Ruby Lane has a small-town antique shop feel when you search the site and each shop has its own persona, the seller added. Another said it was not unusual to chit-chat back and forth with buyers during a transaction period and develop a relationship. Sellers praised Ruby Lane’s practice of carefully vetting sellers and listings. 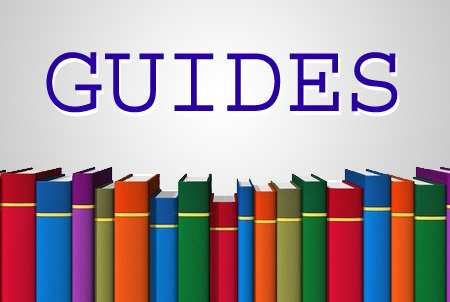 “Ruby Lane reviews listings of sellers to make sure RL high standards are met. It even enlists “mystery” shoppers to purchase from new sellers in order to assure your packaging, presentation, etc., meets RL standards,” said one seller. A seller said Ruby Lane makes some helpful reporting available to sellers, such as their ratio of cost to profit. One seller said they wished Ruby Lane would follow up with buyers who are watching or viewing items, and follow up with buyers after a sale to encourage them to leave feedback, which would be a huge help to sellers. One seller who complained about deadbeat buyers said Ruby Lane should require immediate payment from buyers. Some sellers said it was too difficult for buyers to pay and checkout. I’ve been on Ruby Lane as a seller for 18 years. Still my number one place to sell. They have provided me as the seller with excellent help and quick service whenever I have any issues. Their guidance and ease of quick access to all web info is very good. Quick learning tools are always one click away which has helped me many times. Great customer service and a great venue to sell on. They are a juried site, therefore, what is in their shops is good quality, good for competition and reliability. Ruby Lane, after exhaustive research, was best in class in every conceivable way. Ruby Lane, as a company, and as a business partner has not disappointed me (as a shop owner) in one, single instance. Being a former executive and Wall Street investment banker, I have extremely stringent criteria pertaining to how a company must conduct business, and Ruby Lane performs to that set criteria in every way, and beyond. Communication is superb. Professionalism, perfect 10, and ease of use/user friendly, 10. Ruby Lane is a good venue for higher priced antiques and collectibles. The cost of selling is the same for a $5 item as for a $5000 item so attractive for anyone selling higher priced merchandise. Ruby Lane is very easy to sell on and keep sellers up to date with information, I have been a seller on Ruby Lane for about ten years and never had any problems. 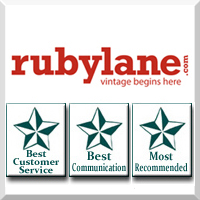 Ruby Lane is well vetted, well respected, and has sellers who know their merchandise. Simply the best CSR’s in the business! Whenever there is a problem you get help figuring out what you need to do. They do need to update some of the information in the Selling facts, such as lane regs and so on, but otherwise it is ok. I wish they had a way for sellers to talk to one another, but I guess that would take site resources, and they do keep costs to a minimum, so I can’t complain too much. The best thing is the customers they attract. I have sold on other venues before, and the customers that frequent Ruby Lane are just the most wonderful people you would want to know. I love it…I actually sell and make money here. I have met other wonderful friendly sellers there. Ruby Lane cares about its sellers and do many things to help sellers sell. Although I feel it is expensive, it is a good venue for selling for me. I’m very pleased with Ruby Lane. It’s the best for quality merchandise and strives to present sellers items in the best way. I am a Fan! I LOVE selling on Rubylane, the costs are reasonable, their customer base is fantastic. My fav for sure, thanks for asking! I use Ruby Lane a lot and really like it. It is the BEST site for collectibles. Ruby Lane is one of the best venues on the internet for vintage and unusual items. It does cost more to maintain a shop there, but depending on what one sells, it can be well worth it. Their sale days were better organized in 2018, not pushing the 50% off as in years before. I like selling on Ruby Lane, there is a good calibre of customer on Ruby Lane and I have to say that the customer service is brilliant. You get a response from the Cs team very quickly and they are always very helpful and friendly. I just wish more people knew about the site as not a great deal seem to. It is a profitable marketplace and there are many beautiful items on there. Some aspects of the website need updating and a lot of customers complain about the payment system, but it is getting updated. Best site out there for me to sell my jewelry. Most trusted site to purchase your vintage, antique, and collectables, Ruby Lane will only allow the best shops on Ruby Lane. Rest assured if you purchase from Ruby Lane, they check each item listed to be authentic and correct. Ruby Lane is the best place I have found to sell online. However, I still, after 12 years, can not figure out how the click report is created. The site allows much greater autonomy to the seller, and the buyers are of a very different quality than on eBay. I have sold on Ruby Lane for years and wouldn’t consider changing. Customer Support is friendly and prompt with replies to questions. The Marketing Department does a great job promoting the site and they, too, are available to answer questions and often provide tips for marketing my shop on Social Media platforms, which is much appreciated. Ruby Lane adds new shop tools on a regular basis and keeps the site looking fresh. I do wish they had more perks for being an Exclusive shop and a Ruby Lane Payment Processor would be a definite plus. PayPal isn’t always ‘friendly’ to new customers. It can be frustrating for them, and I would prefer to get paid immediately instead of having to spend my time giving out instructions for how to process a payment. All in all, it’s a great experience. RL is a highly professional, well managed selling site. Fees are modest. The marketplace is curated to maintain quality and credibility. Display, graphics, presentation are very appealing and info presentation is quite user friendly. Ruby Lane is a Class Act! It has & enforces very high standards. It assures that you sell authentic brand as well as vintage. It reviews listings of sellers to make sure RL high standards are met. It even enlists ‘mystery’ shoppers to purchase from new sellers in order to assure your packaging, presentation etc meets RL standards. Gemologists check jewelry listings, experts in antiques, dolls etc review listings of those items to assure they’re what the seller advertises. Buyers can definitely shop with confidence on Ruby Lane! Weak area: It doesn’t help w/ sales the way eBay does, by following up w/ buyers who are watching or viewing your items. It also doesn’t follow up w/ buyers after a sale to encourage them to leave feedback the way eBay does, which is a huge help to sellers. Ruby Lane has experts leading most of its depts….probably leaders of their fields! Ie) Marketing, Customer Service, Site Development/ Programs/ General Operations etc… The marketing team is exceptionally talented ~ love those artistic graphics & seasonal themes at the top of the home page & lane pages! General RL staff is very knowledgeable & helpful. They communicate only via email or chat which generally seems to work. Jennifer in Marketing has been very helpful. Carol, RL Social Media Manager is great. Customer Service delivers! Rob, Zenna & Simon are Super Stars! A VERY weak area is their mentoring program! As a new seller, you wait & wait for personalized direction only to get what appears to be cookie cutter form letter ADVICE ~ all of which is available elsewhere in the site guidelines … nothing unique to your goals, your strengths/ weakness or personal strategy..… Here’s where a phone call exchange or discussion from experts would be beneficial ~ if they’re going to promote the program as a benefit to new sellers. However, overall, Ruby Lane towers over the competition! I have good experience over the last 15 years selling quality unique small and mid-range items for a decent profit. The clientele, while cost-conscience, seems to recognize quality and be more will to pay a decent amount for the right item. Ruby Lane management’s communication has always been excellent, it offers a variety and frequency sales promotions for Sellers. And the cost seems reasonable. Customer service is excellent – whenever we have had a problem, they have always responded well within 24 hours, and usually within 4 to 6 hours, or less. I love selling on Ruby Lane, and a major factor is the degree of autonomy sellers have on the site. I live in fear that Ruby Lane move toward taking over payment processing the way Etsy did, thinking they are helping sellers. I do not want anyone to get between me and money and like knowing that I receive payments directly via PayPal and can have immediate use of that money without having a middleman get in the way. A couple of years ago RL offered a PayPal alternative that would have had significantly higher costs – for instance, you were charged a fee for payments, but you were also charged a fee for refunds instead of receiving a prorated refund on the fee the way PayPal does. If Ruby Lane were to take over payment processing that would also have huge repercussions regarding state sales tax issues. As a small business it is highly unlikely that I would meet the thresholds (often $100K or 200 transactions) requiring me to collect and remit sales tax for any other state but the one where I reside. The one complaint I do have is that Ruby Lane does not live up to the standards it says it has for keeping new items out of the jewelry site when it comes to large corporate sellers. There is a lot of cheap gold cluttering up the site that is not vintage, even if the sellers tell RL it is. I’m part of a large collectors FaceBook group, most of whom are not sellers, and it frequently comes up in comments how many people have stopped shopping Ruby Lane because they consider this hypocritical and that it shows a lack of integrity on RL’s part. Some of the members who once sold on RL left the site because of this. Although I agree with them and am disappointed in Ruby Lane because of this, I still believe RL is head and shoulders above eBay and Etsy in vetting what is for sale on the site. I’ve been with RL seven years and am overall happy with most of the changes they’ve made and do find them very responsive when I’ve needed help. The Ruby Lane staff is courteous and responsive and I believe they try to help sellers succeed in the ever expanding online selling world. I cannot recommend Ruby Lane highly enough across all avenues. Fantastic job tirelessly advertising by management has resulted in a great caliber of both customers and dealers on the site. There is a great overall quality to the site. Management is responsive to emails. I have been a seller on Ruby Lane since 2012 and feel they have remained consistent in their service and communication and have helped create a very respectable platform. Their trust pilot reviews are proof of clients feeling it is an amazing place to shop. Some buyers do struggle occasionally with the purchase process but Ruby Lane seems to be addressing that. I have been selling on Ruby Lane for 16 years. During a majority of that time I have been exclusive, but I did try other venues that never were as robust and satisfying as Ruby Lane. If you stop reading at this point because you think that I am a high end antiques dealer, then let me set you straight. My inventory and selling interests are eclectic and tend to be more of the mid to low range antiques and collectibles that I can easily mail anywhere. The vast majority of the items in my shop are under $50, making them affordable for most people who are shopping the antiques and collectibles market. I have paper and ephemera in my shop that is at the bottom price range for its category so that new and young collectors can find pieces they can use to form collections. Yes, there have been some down trends that mirrored the economy, yes Ruby Lane tried some things that didn’t work as well as they hoped, and some years have had poor profitability, but I love this venue. When you have a question, you can talk to a real person either on line of by email. If you have a problem, someone actually tries to help you! I have never had unresolved issues from customer service. The site has high quality items that are vetted by the site to assure a good experience for the customers. I have good repeat customers but I continue to have new customers all the time. 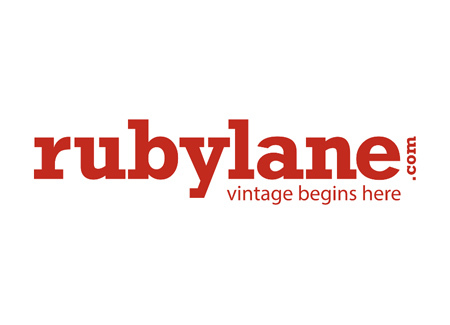 Ruby Lane has evolved over time in terms of advertising and have continued to be present at specialty antique shows, print media and also social media, but I still have people who feel that they have discovered the site for the first time. The site is intuitive to use as a seller. It has a small town antique shop feel when you search the site and each shop has its own persona. I frequently shop the site as a buyer to see how it feels on the other end, and it is easy to use as a buyer as well. I have no plans to alter my selling patterns to venture out to other online shopping venues at this time and hope to sell on Ruby Lane for years to come. Positive: Listing form is easy to use. Customer service is very good. Fees reasonable but you have to work harder as it is a smaller venue. They also have many places you can check on progress of your own shop such as ratio of cost to profit among many other things that are good for sellers to know. I find this site so much more accommodating and less stressful than where I used to sell for many years. I have used Ruby Lane now for about nine years. Negatives; They use a dollar value rather than age to allow listings of antiques in certain categories and sub- categories. Therefore you have to list somewhere where there is no sub-category for it. 50% off sales good for some sellers but not all sellers have profit margins so many sellers don’t participate. Many categories need expanding with more depth in sub-categories. Buyers have to use search words or they won’t find things, The required picture editing takes too long at times and pictures are not processed in the order they are listed. Overall, I like Ruby Lane and hope they continue to develop more depth as more sellers come aboard but still keep that “family” feeling. I have done well on Ruby Lane but there is room for improvement. The constant push for big sales is tiring since most of the shops are small business people with small margins of markups unlike big stores that can have continual sales and afford the loss leader strategy. The site is generally easy to use as long as there aren’t a slew of changes getting in the way. I often recommend Ruby Lane to other sellers. I have sold on Ruby Lane for 15 years. My sales have gone down in the last 5 years. I work as hard for less. I do think they need to advertise more and pay for Google exposure. The cost to sell is reasonable, cheap compared to eBay and Etsy. The customer service team is terrific. They always get back to you if live help is not available. The site is easy to understand and use. Listing is a breeze! No phone communication with management but their email response is good. Ruby Lane is becoming less profitable for me. I do not like the policy that gives exclusive sellers special percs as we all pay the same rent. Also they have a lot of extra services a seller can purchase to promote their items. I do not like this and think they should promote for all sellers equally because the rent is high. The fees are still a little more to sell on Ruby than I like; however, the more you sell the less is paid in fees since there are no final value fees. The buyers on Ruby are generally a friendly sort and there are VERY few attempts at extortion and VERY few that are rude. It is not unusual to chit-chat back and forth during a transaction period and develop a relationship. It is nice to have a selling venue that attracts repeat customers too. Customer service is fast and friendly. Listing an item on Ruby Lane is fast and very easy as the listing form is short. Overall a wonderful place to sell – they do tend to use the main platform to promote other areas (rubylux) while those that foot the bill, get no benefit or ability to add postings when appropriate. Customer service can be spotty (sometimes comes across as rude). They also announced a new platform several months ago which would allow more pictures to be added – still waiting for that to happen. No communication whatsoever. Rubylane is the friendly old aunt of sellers sites. A little behind the times but adored nonetheless. They completely stay out of your business and don’t scheme more ways to take an additional fee here and there. They are truly a service provider and not an unwanted/unwelcome partner. Sales are pretty tepid though. The last 30% off sale netted 1 sale. It’s a vegetable side, not the main entree. I have been on RubyLane for 3 years and love the customers I get here. Rubylane marketing is also excellent but they could use more staff. Bad service. They don’t listen to their customers (ie sellers), don’t suggestions, don’t care what we think, what we want or how to move forward. The site is drowning in dreck which drags down the image pretty badly. I am currently selling on Ruby Lane. It used to be extremely profitable, but selling on the site for me has plummeted, and has become so expensive to sell on their venue since they are charging extra money for visibility, that I am afraid I will have to leave Ruby Lane. They have so many sales that now customers wait for their Red-Tag Sales to buy. In between the sales, I sell very little compared to three or four years ago. Site becoming less profitable over last couple of years. It seems customers view this as a bargain basement type venue. Also, Ruby Lane keeps pushing their multi day sales requiring participants to offer 30% to 50% reductions on shop merchandise – untenable if dealers try to offer good pricing in the first place. NEVER will I pay $100 setup fee…..and $159.50 maintenance on 500 items a month is outrageous for the small vintage items I sell. After 5 years, Ruby Lane is less active for me than it was at first. In fairness, I think this is mostly due to lack of fresh inventory in my shop. But buyers seem harder to work with, and I wonder if traffic and sales are actually declining overall. Ruby Lane was been a great place to sell; however, my sales are slowly declining over the past 3 years. It is much better than selling items on auction on eBay. The whole business has become so competitive, it can be difficult to sell higher priced items there. Most people want lower priced items, which has made profitability decline. Not a bad site but a large percentage of buyers are just amusing themselves with making a purchase and not paying, or responding. Quite expensive. Constantly encouraged to pay for clicks (totally a waste of time ), or to pay to be featured. Also quite difficult for sellers to pay. Have found at least 20% of buyers cannot figure out the selling process. Poor form designs. I make more sales on RL than anywhere else but their cs to sellers is awful. I appreciate the the great reputation they have for buyers and that’s why I stay but their fee structure has very little relation to sales. They refuse to put in place a secure server for merchants who take credit cards, they refuse to add Parcel Select USPS as a shipping option when it would be a snap to do, they have never fixed the broken “my links” pages, and they sometimes take MONTHS (not an exaggeration) to respond to requests from sellers to fix things or make reasonable changes. And their required photo software is completely inappropriate for clear, glass, and white items with their floating white background. Site is expensive and my items don’t come up high in google searches any more as they did a few years ago. I think management is spending less with google ads. Red tag sales have stalled sales and set unrealistic expectations for buyers. Customer support is almost non existent any more. I rarely see anyone on live chat and questions go unanswered or only partially answered. Responses border on curt and rude, to they can’t be bothered. It now seems the site is mostly devoted to dolls and jewelry and that is the focus of promotion and advertising dollars. I wish they would promote ALL the LANES to the same extent as dolls and jewelry. They do attract some good buyers so I stay but exploring other venues. No ability to print shipping labels is crazy in this day and age. Inability to pay with a credit card is also outdated. Since we all use smartphones. It makes no sense that you can’t easily or fully manage a shop on your smartphone. Very frustrating. Views, visits, and sales were way down in 2018. I have been selling on RL for many years and the last few years have been disappointing. Each year seems to get worse. I sell antiques and only a few vintage items. I felt the home page of RL last year was not professional. I know they need to strike a balance between vintage and antiques; however, most of the time home page look like something from a flea market with the occasional nice picture thrown in. During Thanksgiving they kept showing a picture of a vintage chair with a few pumpkins. They need to take a look at sites like Instagram or Pinterest and get more creative for the home page. Or maybe just show items that are really for sale. It is the most expensive site of the 3 I sell on and I expected more than that for the price I pay. A handful of sellers pay premiums and now dominate the site. Inventory is not rotated, making it hard to get sales other than during Red Tag events. Economy has impacted, site needs more advertising. There is too much focus on luxury goods rather than across multiple price points. Too difficult for buyers to pay/checkout. AIP images terrible – long delay – difficulties with photos showing processing for hours or days. Wonderful site, but not enough traffic. Unprofitable. Need more exposure/advertising. Overall percentage of profit very low – one year 46% fees to sales. Worse than eBay, if that’s possible. Seller communication has improved but we continue to be notified of significant changes and decisions after the fact. Still a great venue for high end vintage and antique merchandise although more junk items are showing up and descriptions are not always accurate. Despite these concerns, I would not use any other venue to sell my niche items. Sales are very poor. It is hard to start out these days on Ruby Lane and can take well over a year to even get noticed. Established sellers seem to do well but a very difficult venue for new vendors to be successful. I started out in 2017 and against my better judgement am still hanging in there. I noticed several shops that started at same time as me have now gone. The shop rental is high, particularly when you can easily go a month without a single sale. Originally planned to leave eBay and become an exclusive seller on Ruby Lane but that proved impossible. Without eBay I wouldn’t eat. Also, I have found that the customers who do buy on Ruby Lane are usually after a knock down price and want to pay less for quality jewellery than customers on eBay! Even though my insured shipping is free and I sell in dollars to save US buyers currency conversion fees, these buyers are tight! Another negative I find is the number of buyers who never bother leaving a review, when you have bent over backwards to provide a top notch service. The positive is that the shop face looks beautiful and my items could not be better presented, but is that enough?? I fear not. After 15 years on Ruby Lane, they finally wrecked my great sales with the Lanebook design and other search features that favor the elite sellers. Ruby Lane cannot decide what it wants to be- a place for luxury goods or a flea market with 50% off sales. There is no individual style in product photography as all the pictures have the same bland look. There is no growth potential, and no advertising. I was done with Ruby Lane Dec. 31 and do not have one nice thing to say about the site.